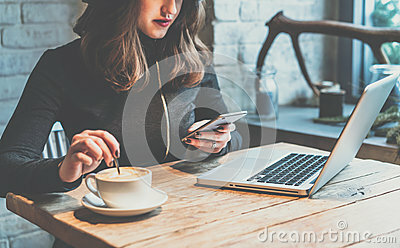 Young woman sitting in coffee shop at wooden table, drinking coffee and using smartphone. People are sitting on the phone and drinking coffee on a wooden table in a restaurant. Young woman using smartphone in a cafe with a laptop.